When our museum was to be enlarged an old wall stood in the way of the proposed extension. Initially it was to be knocked down but the idea was mooted that it could become an internal wall within the museum, and could be used for a window into the past! The completed window was unveiled to the public during the official opening of our extended museum on 15 September 2012. Carnamah’s main street was named after the Macpherson family who established a large pastoral station here in the 1860s. 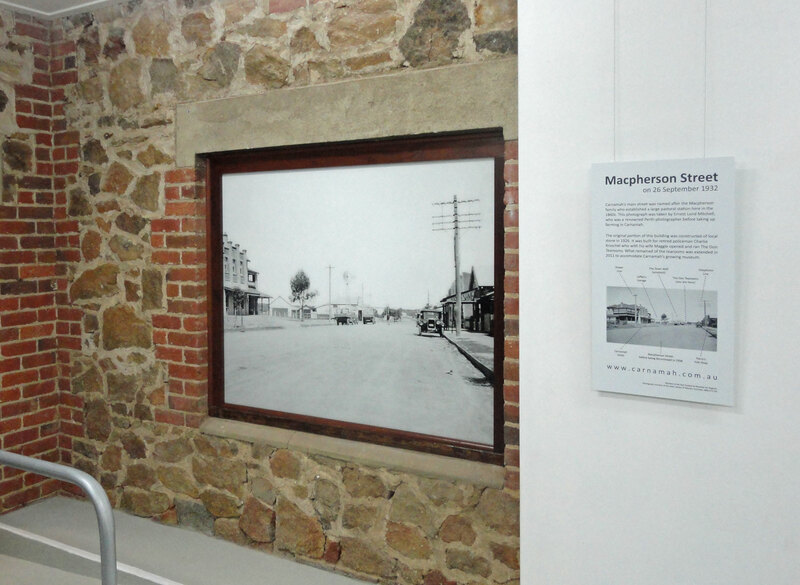 This photograph was taken by Ernest Lund Mitchell, who was a renowned Perth photographer before taking up farming in Carnamah. The original portion of our building was constructed of local stone in 1926. It was built for retired policeman Charlie Kroschel who with his wife Maggie opened and ran The Don Tearooms. 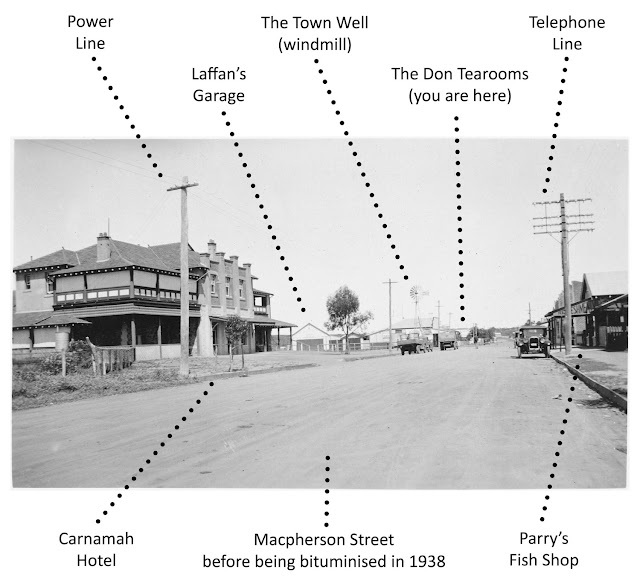 What remained of the tearooms was extended in 2011 to accommodate Carnamah’s growing museum. Our thanks go to the Royalties for Regions Regional Grants Scheme via the Mid West Development Commission for their assistance and financial support with this project. 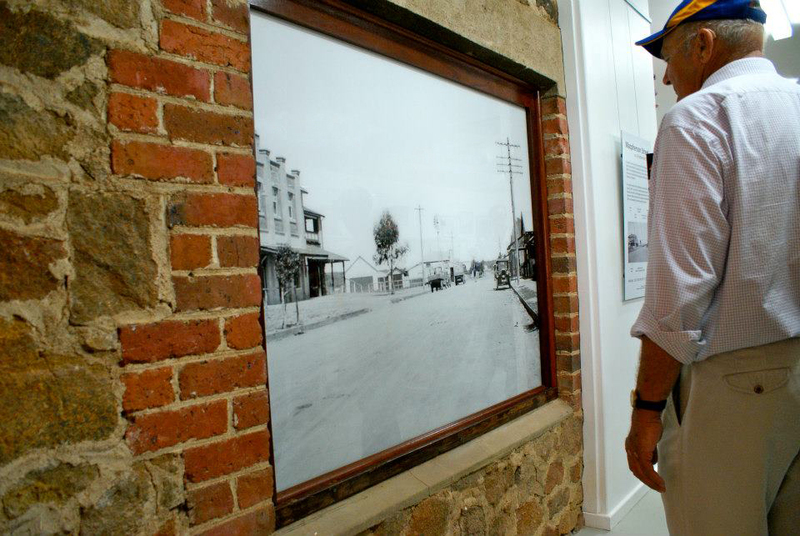 The photograph used in the window is courtesy of the State Library of Western Australia, #BA1271/78. 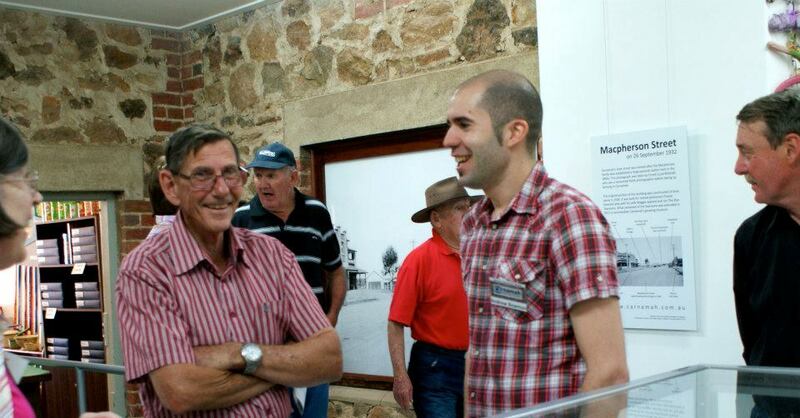 For more on our opening see our blog post Official Opening of Extended Carnamah Museum. Very clever idea to keep the wall. Connecting the past to the present and the future is always a brilliant way to go.